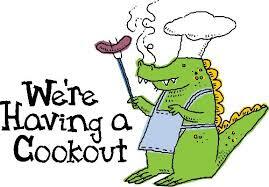 Thanks to the generosity of our favorite running dentist, WRC will be having a cookout on September 8th. We hope to see many many faces there, blobbing in the pool and swigging beer. For those of you who are running the Parks Half Marathon, we will especially welcome you with extra blobbing time and promises to listen to your riveting race reports. WRC is supplying beer and wine. The rest is up to us. The event is potluck. 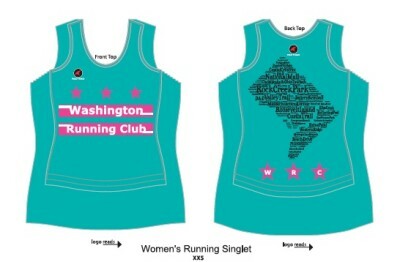 Someone has already offered to bring fried chicken and our favorite running pastry chef has promised a carrot cake. What would you like to bring? Runners often consider race courses to be gem-like objects of perfection, possessing a logic to their geometry’s purpose. However, out in the real world and away from the track, we have to cope with what we’ve got, often with components that can be charitably called “chunky.” Sure, your map might promise you taut curves and pert points. But where the road happens to zig, the racers must zag. 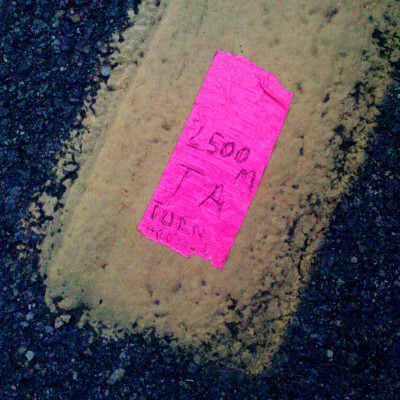 Those lat-lon nodes you used to mark the start, finish, and the intermediate kilometers? They manifest as strips of day-glo duct tape, annotated, plastered atop an epoxy stripe, roughly down the middle of the waffling macadam. For the purpose at hand, it’s usually good enough. And sometimes there’s a Rothko-esque beauty to be found underfoot. It helps to know where to look. Mr. BlurryCam took some pictures at the 2.5K turnaround point of this evening’s Roosevelt Run 5K. Thanks go to Fiona and Paul Karlsen, el Prez Kirk Masterson, Treasurer James Scarborough, and Jay Wind for contributing both their time and effort, to pull off a thrifty and competently executed mid-week race. Whether training for a fall marathon, rehearsing the finish for next week’s Parks Half, or just wanting to try your luck at finding a balloon on a nice run, please consider joining in for a 20-miler for SDR this Sunday, Sept 1. In addition to Labor Day, we also get to celebrate the last scheduled 7am start until next summer (the calendar has the SDR moving back to the regular 8am start time next week – Sept 8th). 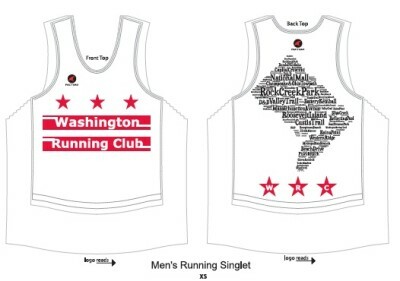 The planned route will be the Rock Creek Park – Capital Crescent Loop, done counter-clockwise. This will take us through Rock Creek Park to East-West Highway where we connect with the Georgetown Branch Trail and the Capital Crescent Trail. Let’s once again lend a hand next Wednesday evening, August 28th, at a low-key summertime race held on our stomping grounds. 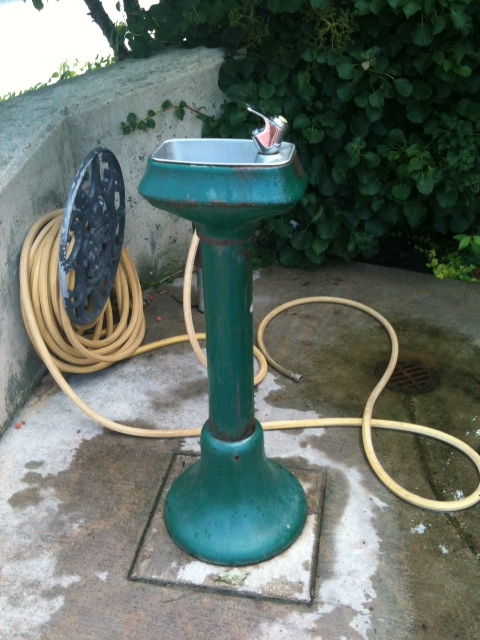 Now this is a water fountain! 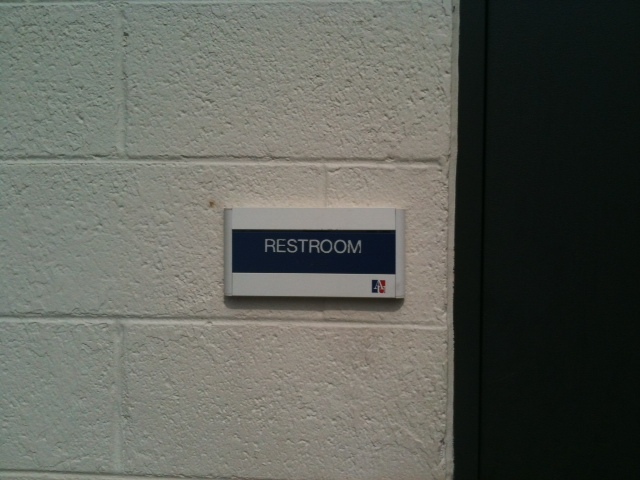 We are happy to report that WRC has secured a nice agreement with the powers that be at American University. 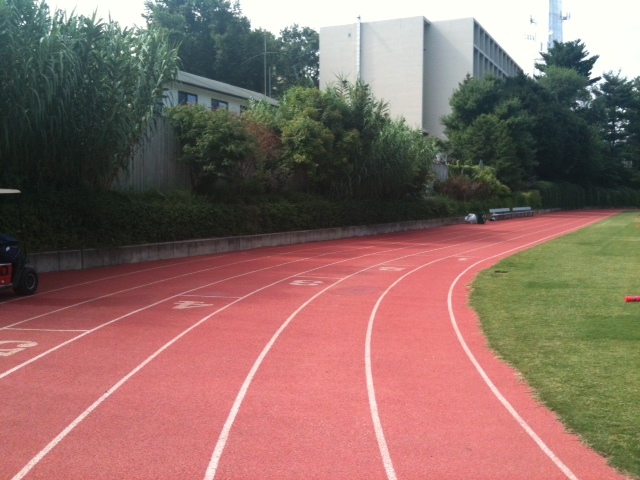 Starting on September 3rd, we are welcome to use the lovely, sheltered track at AU from 6 until 7:30 am. Every Tuesday. For those of you who remember, WRC had informal track practices there a few years ago. Our numbers ranged from 3 to 8. Never a huge showing but enough folks that you felt a certain comfort and support being with the gang. And then there was the gentle pressure to step it up a bit. We do not really know how this will evolve in terms of setting workouts. Perhaps what will happen is conversations between members on similar training cycles and at comparable levels. Then, there are those of us who might join in for fragments of intervals. 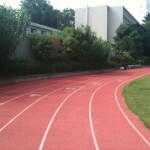 The AU track is a very nice surface. 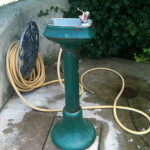 There is plenty of water and a cute gazebo with a bench and shade. 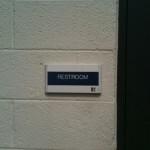 There is a real bathroom and plenty of parking that is available until 8 am. Also, the surrounding neighborhoods offer some quiet streets for warm down shuffles. The order has been submitted! Estimated delivery date is September 22nd, or whenever they arrive and I schlep them over to the Sunday run.